What are the goals of RFA treatment? Significantly reduce the severity of OSA. 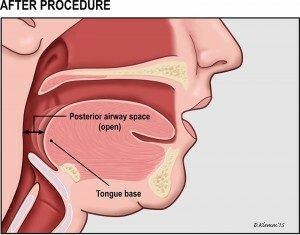 Eliminate or lessen the associated risks of untreated sleep apnea. 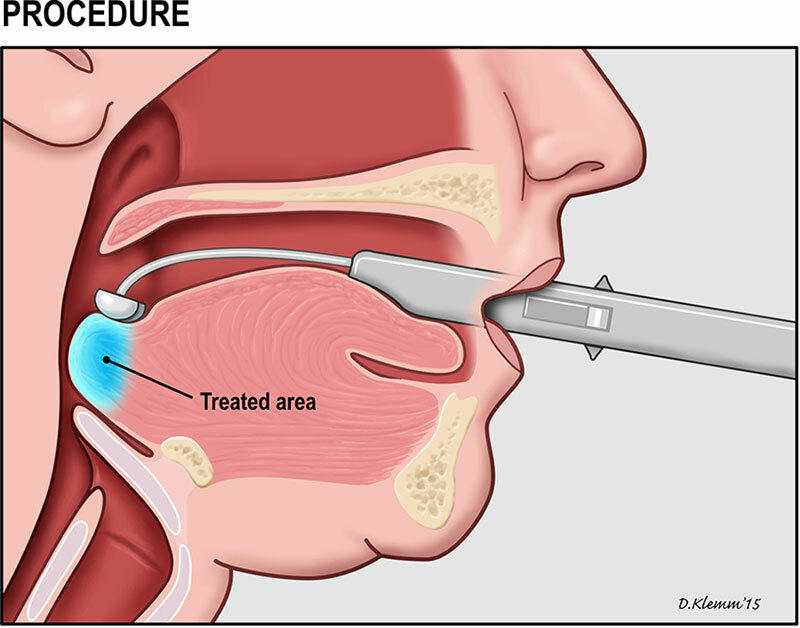 Eliminate the need for CPAP (Continuous positive airway pressure) therapy. Lessen the air pressure requirement if CPAP is still needed. RFA results in a greater than 70% cure rate for patients with mild sleep apnea, and a greater than 50% cure rate for moderate apnea. 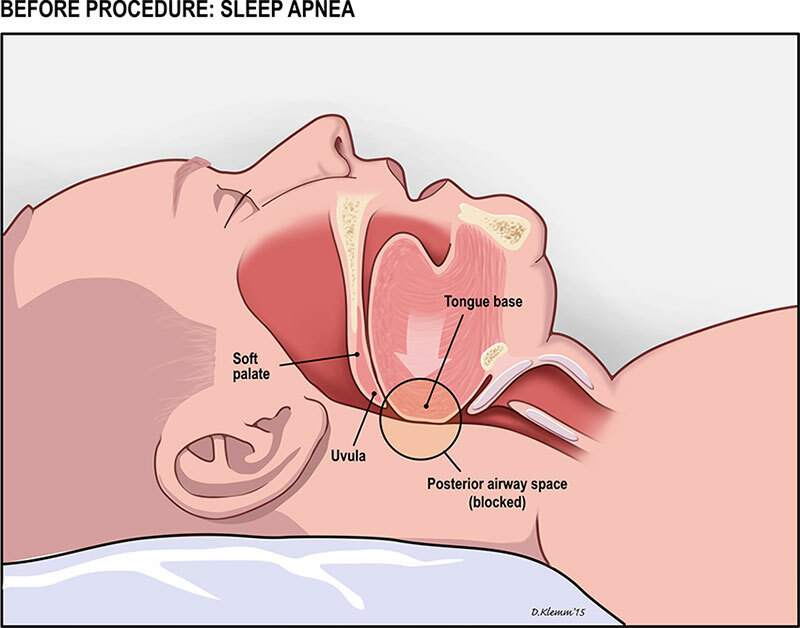 RFA is not likely to cure the individual with severe apnea; however, RFA can reduce the severity of the apnea. if one continues to utilize CPAP, reducing the severity of the apnea likely results in reducing the air pressure requirement to treat the apnea. So, for individuals who cannot tolerate the CPAP air pressure, RFA therapy can reduce the CPAP air pressure requirement rendering the CPAP mask more tolerable. “RFA is an excellent option to cure the individual with mild to moderate sleep apnea and to get rid of CPAP. It’s also an excellent supplemental treatment for patients with severe sleep apnea who can’t tolerate CPAP at all, or can’t use CPAP all night; for patients who can’t tolerate the air pressure setting and want to lower the CPAP pressure requirements, or for patients who wants to lower their RDI and lessen the OSA risk profile.” Thomas Winkler, M.D. If you or someone you know is in need of a better night’s sleep, contact us for a no obligation consultation. We are the sleep specialists at Chevy Chase ENT located in the Virginia, Maryland, and Washington D.C. metro area dealing with sleep apnea and sleep-related problems. We can help diagnose your condition, recommend whether a sleep study would be beneficial, and offer you a variety of treatment options including CPAP, Radio Frequency Ablation (RFA) and more. This website was produced by Chevy Chase ENT, the PREMIER facility for Obstructive Sleep Apnea Treatment in Washington DC and Baltimore MD, to provide information on radiofrequency ablation.